Unusual, sometimes messy and unpredictable forms of art lead to hours of fun in the Art Studio! Children and their grownups are taught to use everyday materials found in the house or in nature to create enriching art projects. We’ve made baskets out of twigs and recycled wire, wind chimes out of silverware and a sculptural “phone tree” with old phone parts. 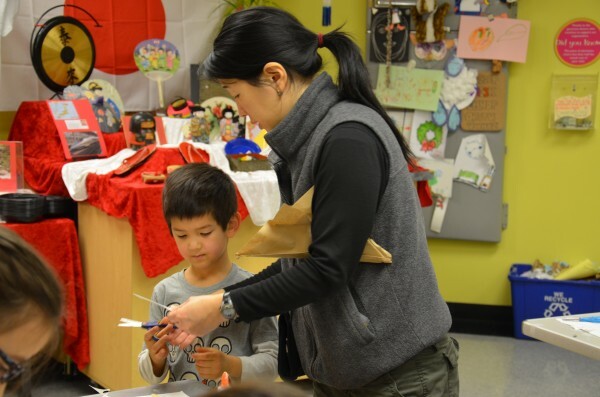 An art facilitator assists with the art concept of the day and encourages each child’s artistic vision by asking exploratory questions and modeling positive encouragement. 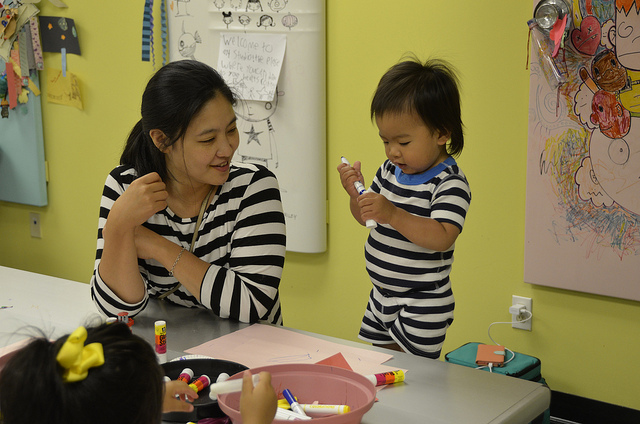 Power of Play: The arts are an essential part of social, emotional and cognitive development. 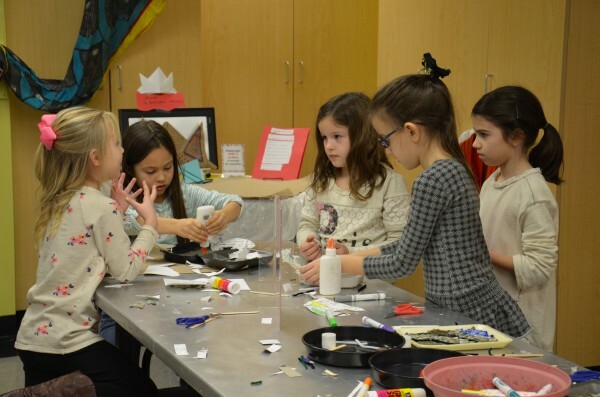 By offering a wide variety of mediums to work with and artists to meet and learn from, the Art Studio allows children a special opportunity to delve into an art world that they may not otherwise experience. Playful Tip: Get involved with your child’s project and remember there is no ‘’right’’ or ‘’wrong’’ way to create art. 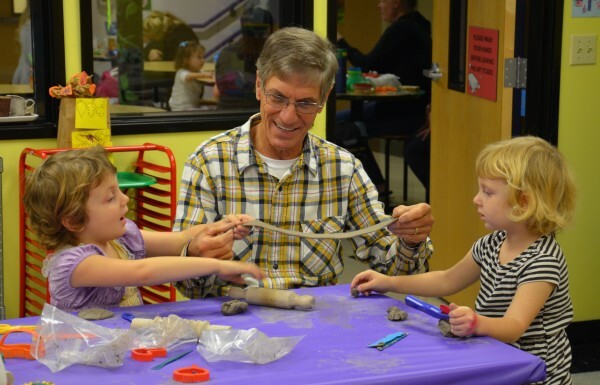 You’ll likely be amazed at your child’s concentration and creation!